As I look across the month of April, there are four dates I hope you will put on your calendar now. Thursday, April 23, 7:00 p.m. Invite a friend and join us for a great night of worship as we meet and are led musically by a prospective Contemporary Worship Pastor. The service will be in the Multi-Purpose Gym, and childcare is provided for birth through age four. I’ll also be sharing more of our thoughts and plans about when this new service will become part of our regular Sunday morning schedule. If guitar-driven, band-led contemporary worship is your “musical heart language,” don’t miss this evening of worship. Saturday, April 25. Macon Impact is a time for our church family to show and tell the love of Christ in our community. Go to our website and sign up to be part of this significant day of service and outreach. There are many ways to be involved. Find one that is a fit for you! Sunday, April 26. We will be hosting Matt Maher in concert in our worship center as part of The Saints and Sinners Tour with special guest, “I Am They.” This is a ticketed event. A few tickets are available here and the remaining tickets will be available in our Ingleside Bookstore beginning this Sunday, April 12. We are expecting every seat to be full, so get your tickets now! Sunday, April 12. At 4:00 p.m. this Sunday we will gather for our monthly membership and missions orientation classes. In the membership class, we explore what it means to be committed to the body of Christ called Ingleside. The missions orientation class is preparatory for going on an Ingleside mission trip. Dress is casual. No reservation is required, and childcare is provided. Just come in the main doors on the east side of the Worship Center. I hope to see you there! 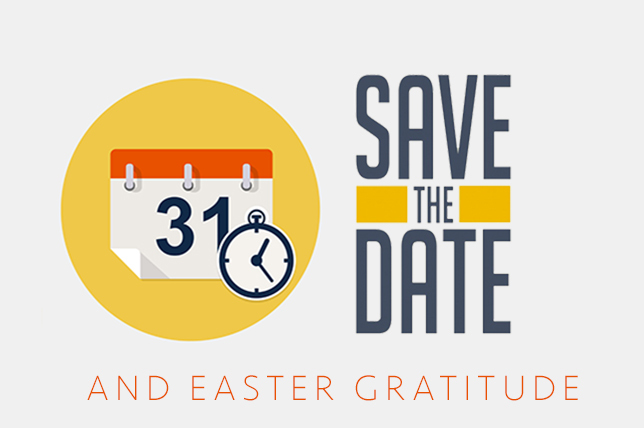 I know you will want to join me in giving thanks to our Heavenly Father for a great celebration of our Risen Redeemer this past weekend. A large number of people gathered on our campus for the Easter Family Fun Day (more than 700) and for worship (more than 4,100 in all services). Many responded to the gospel in repentance and faith, and many more celebrated (through pictures on social media) that they had been redeemed! Sincere thanks to all who served and to all who invited a friend. We give all the glory to God for his great favor on Easter at Ingleside 2015. I look forward to seeing you Sunday for Bible study and worship. I am confident that the best is yet to come!